Soo good! 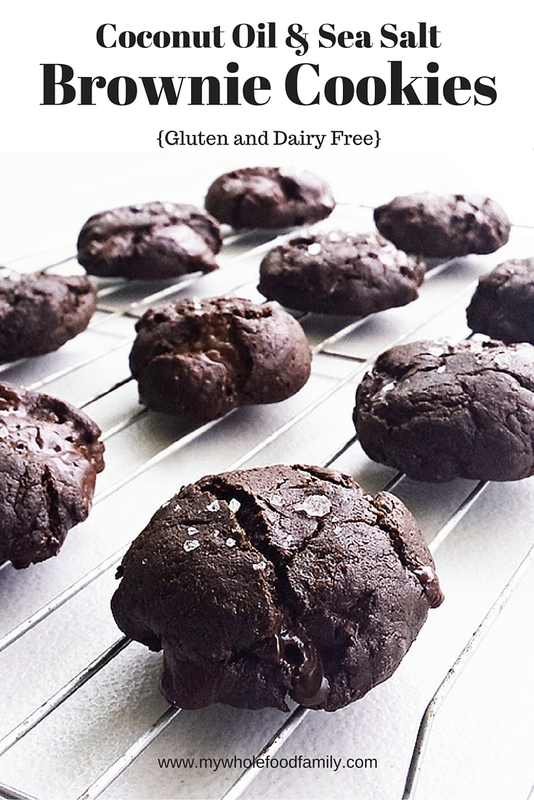 I am making a lot with buckwheat lately, so these cookies are really a must-do! These sound really good! Great SRC recipe! Wow, these are so intense looking and you have me wanting to reach through the screen and grab a few to nibble on! I love that you used different flours to enhance the flavors and make them gluten-free - my whole family can enjoy these! Glad you are starting to feel better! These cookies look incredible. I love the deep, dark color. These look amazing! I love that you used coconut oil and sugar. I'm going to be making these soon! great SRC recipe! Goodness, these look so rich and chocolaty, hard to believe they are gluten free. I hear ya on your struggles with your diet. Lately it seems EVERY thing I eat makes me sick, unless it is fresh produce. When I eat a vegan diet though, I do feel a lot better! (It isn't easy though). I've never tried buckwheat flour before, I'll have to look into that one. 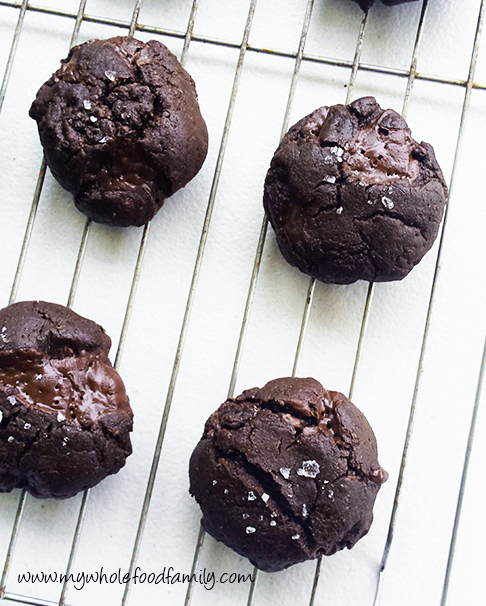 Those look incredibly rich and addicting with that sea salt.